The animals of Kids Puzzle Land need your help. Solve puzzles, memory games and find items for the animals of Kids Puzzle Land. - Develop motor and logic skills while solving jig-saw puzzles. - Improve memory and concentration. - Feed the animals and discover what they like to eat. - Learn the letters of the alphabet. - Learn the recognition of the numbers from 1 through 9. 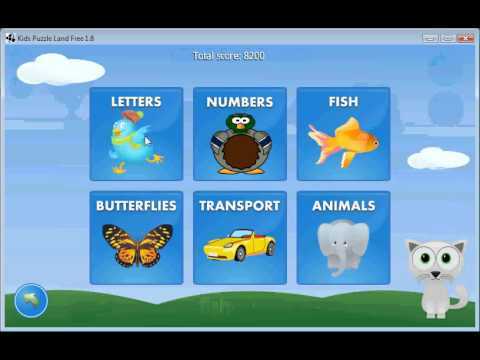 - Learn the spelling of the animals and items. - Learn shapes and colors. - No adds and no-app purchases. - No intrusive permissions required. - Graphics scale for play on tablets. - After solving puzzles and memory games, your child gathers items and gives those items to the animals. - All levels of all six memory games are available. If you have any suggestions, please leave us a message at denizenware@gmail.com.